TDAG uses its membership’s broad knowledge base to develop guides with evidence-based information, practical advice and case studies to inform decision-making on urban trees. ​Compiles the basics built environment professionals need to know about urban air quality and how design of our urban infrastructure – including green infrastructure – determines where air pollution is produced, and how it disperses. ​Received the 2016 Landscape Institute Award for Policy and Research. Received the 2016 Landscape Institute Award for Policy and Research. A concise guide for designers, developers and planners on benefits and available solutions for incorporating trees into dense urban environments. 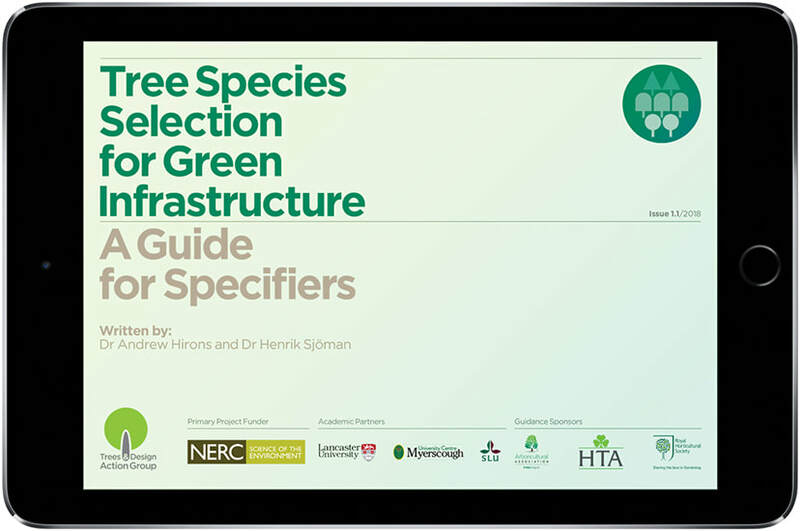 An introduction on the role of trees and key best practices to ensure new developments make the most of the financial, social and environmental value trees can contribute to places. Under Other Downloads you will find other TDAG documents, such as our press releases, our consultation responses, as well as documents partners or members might hav asked us to help disseminate. Under External Resources, we list other organisations, websites and publications useful for anyone interested in urban trees.